Well, as so often in life, one thing leads to another...and then another. Whilst looking at some of the renewable energy holdings in my Capital Gearing trust, I came across the Foresight fund and whilst researching that fund, I had a further look at the Renewables trust when it released results last week. So I have decided to add TRIG to my portfolio. The investment trust was launched in 2013 and gives investors an opportunity to tap into the renewable energy sector - wind, solar and battery storage. It has grown steadily to become one of the largest funds in the sector with assets of £1.3bn. Last week, the trust released full year results for 2018 (link via Investegate). Total return was 11.6% and earning per share increased by just under 20% from 9.8p to 11.7p. 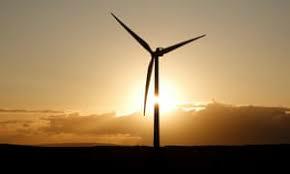 Over the past year it has added 5 new wind farms to the portfolio - Ireland, Scotland, France(2) and Sweden. This brings capacity up from 821MW to 1,110MW, an increase of 35%. The combined portfolio generated a total of 2,011GWh over the year (1,766 for 2017) and sufficient clean energy to power 650,000 homes or 0.6% of total electricity consumed in the UK. "2018 is TRIG's fifth year of operations and was another strong year. Once again, we have been able to deliver attractive returns to our investors with a total NAV and dividends return in the year of 11.6%. The period saw ongoing diversified growth through acquisitions, good asset availability and healthy levels of cash generation. In the years ahead we are confident of TRIG's ability to continue to provide its investors with long-term, sustainable dividends whilst contributing to a lower carbon future." Under the Climate Change Act of 2008, the UK government is obliged to reduce greenhouse gas emissions by 80% below pre-industrial levels by 2050. This target is reviewed by parliament every 5 years and in the most recent review, a target of 57% by 2030 was agreed. In the light of the recent IPCC report, many are suggesting this target is not sufficient and are calling for zero emissions by 2035. Under the 2015 Paris Agreement, 200 countries entered into a voluntary accord pledging to keep global warming well below 2C. Last year the IPCC agreed on the lower limit of 1.5C. As a result of the efforts by the global community to tackle climate change, renewable energy production such as wind and solar is expected to expand rapidly. In its recent report, BP forecast that renewable energy will be the worlds main source of power by 2040 - personally, I think it could be much sooner. The Renewables asset class represents a growing and important segment of the rapidly evolving energy market and, accordingly, a compelling investment opportunity. Furthermore, TRIG is well placed over the longer term to take advantage of the drive towards global de-carbonisation and continued investor appetite for long-term yield from sustainable asset classes. With an active and healthy pipeline, the management are confident that 2019 will be another year of continued growth and solid performance. They have an advanced pipeline comprising several investment opportunities where negotiations have reached an advanced stage for investments in wind farms located within France, the Nordics and the UK. Should all be successfully concluded they would involve expected new investment in excess of £250m in aggregate by June 2019. 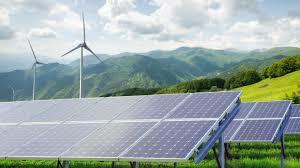 "As the renewables market in Europe continues to evolve at pace, the Board, along with the Managers of the Company, will continue to look for opportunities to adapt the portfolio, seeking to enhance diversification and avoid reliance on singular markets at risk of scarcity premia, so to best capture value for investors. This will include examining new markets in Europe including where grid parity allows development of renewables without subsidies." I have held back from investing in this sector for some time due to the fact that most of the established trusts trade on a high premium to underlying assets. However, I like the story so far and the prospects of expanding the operation further afield to France, Spain and Sweden appeals. The returns compare well against other investments over the past 5 years - TRIG 56% v All Share Index 31.2% and Vanguard LifeStrategy 60 is 46%. There is a handy quarterly dividend of 5.5% (which I will reinvest). 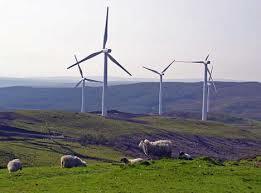 The share price has had a good run over the past year and is currently trading at a premium of 9% however the management are thinking of following Greencoat UK Wind and extending the life of its assets by a further 2 or 3 years which would lift the value of net assets by around 3% or 4%. Obviously I would prefer to purchase at a discount but due to demand across the sector, this is not currently an option. I have now added this trust to my ISA portfolio with Halifax - purchase price is 117p. They are proposing to raise funds next month for acquisitions and I hope to top up my holding at what could be a lower price. I don't imagine the re-alignment of one small investor's portfolio towards more environmentally friendly investments will be moving the climate change dial very far. This will be done by the large institutional fund managers such as pension funds and the likes of Vanguard and BlackRock. However, I also think that when lots of small investors start to rethink the relationship between financial goals and the future security of the environment, it could have a significant impact. Apart from all this it just makes me feel a bit better. This takes the total 'green' portion of my portfolio to 15%. 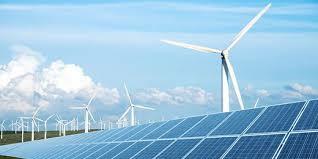 In recent months I have been mulling over adding one or two of the investment trusts which focus on renewable energy infrastructure. I covered some of these in an article last November. I could not decide which ones would be the better option - some are more focussed on wind, others on solar and yet others on battery storage. I hold the Capital Gearing trust which has a modest holding in four of these trusts - Renewable Infrastructure, Foresight Solar, Greencoat Renewables and Greencoat UK Wind - however the combined holdings are only around 2% of the portfolio. According to the latest outlook from Oil giant BP, renewable energy is set to rise from 10% (currently) to become the world's main source of power by 2040. They suggest that in Europe it could be providing 50% of our energy. Renewables are growing at a phenomenal pace. It took oil 45 years to get from 1% of global energy to 10% yet it is estimated renewables will achieve this in just 25 years. BP says growth in renewable energy will be over 7% each year for the next 20 years driven by government policies, technology advances and the falling costs of wind and solar power. In the past 5 years, renewable capacity in the UK has trippled whilst that of fossil fuels has reduced by one third as traditional power stations reach the end of their life and become uneconomic. In 2018, coal capacity fell by 25% and there are now just six coal-fired power stations remaining. A big reason for this surge towards renewables is that the costs have fallen dramatically over the past decade. This means that climate-safe energy can compete with nuclear and fossil fuel production on cost alone. Here's the latest report (pdf) from IRENA. All new energy supply in the UK is now from renewables such as wind and solar. This is a fairly recent venture launched at the end of 2017. The fund enables small investors to tap into the renewable energy sector which has grow ten-fold over the past decade.The fund is actively managed by Foresight which is a specialist independent infrastructure and private equity asset manager. These are the main dedicated RE holdings but the portfolio includes other funds which also hold a proportion of renewable energy holdings. It targets an income yield of 5% paid quarterly. Ongoing charges for the fund are 0.65%. The total return for the past year since launch was 16.2%. Early days but looks promising. This fund is held in my ISA and was purchased with some of the proceeds from the sale of my long-standing holding of City of London trust. To keep global warming below the 1.5C suggested by the IPCC will take a huge global effort and a lot of investment into renewable energy to replace coal and natural gas. More and more electricity for our homes and, in the not too distant future, our cars will come from wind and solar. Hopefully this demand will strengthen the case for renewable infrastructure. Conventional investing wisdom of recent years suggests holding a broadly diversified, low cost global index fund or ETF is the way to go. This article on the Monevator site by Lars Kroijer is very good and certainly helped to persuade me of the merits of adopting a simple strategy based on a global index fund combined with a solid bond fund. Since this article was published in 2015 and later reading Lars book 'Investing Demystified' as well as Hale's 'Smarter Investing', my investing strategy has evolved to incorporate low cost, globally diverse multi-asset index funds. My core holdings include Vanguard Lifestrategy and HSBC Global Strategy which together make up around 45% of my total portfolio. I am now starting to take a closer look at this strategy as I learn more about the threats posed by climate change. The world is changing and climate change is rightly moving to the top of the political agenda. In the US, public opinion is shifting and the Democrats want to put a Green New Deal at the heart of their election campaign in 2020. This is an ambitious plan to transform the US towards net zero carbon emissions over just 10 years. Large fund managers are pushing big firms to reduce their carbon impact to comply with the 2015 Paris agreement. Even Warren Buffett has staked $30bn on clean energy. As the world changes, our priorities change and my approach to investing needs to reflect these changes. Oil and gas are fossil fuels which have been the driver of the global economy for the past century but in the process we now find that it has been a big factor in global warming. For much of the 20th century, just five big oil companies - Exxon Mobil, Chevron, Shell, TOTAL and BP - have been responsible for up to 20% of global oil and gas production although their dominance is beginning to fade. These oil majors are gearing up to expand production and will always lobby hard via their trade associations to block attempts to limit global CO2 emissions. However, the IPCC say oil and gas production needs to fall by around 20% by 2030 and by around 55% by 2050. In the UK, capacity for renewable energy has trippled in the past 5 years and in 2018, it overtook fossil fuel for the first time. The climate science is convincing. We need to limit global temperatures to 1.5C above pre-industrial levels to avoid some very unpleasant consequences. One way to do this would be to quickly reduce our dependence on fossil fuels and move to clean energy such as wind and solar. In 2016, Morgan Stanley warned investors that long term investment in fossil fuels could turn out to be a poor decision "Investors cannot assume economic growth will continue to rely heavily on an energy sector powered predominantly by fossil fuels". Their latest report on this subject from last October is worth a read. Just last week, California's largest energy supplier PG&E filed for bankruptcy due to global warming. It could no longer afford the insurance liability costs arising from wildfires which have increased in frequency and duration due to the warmer, drier conditions of recent years. This has caused alarm bells to ring in many boardrooms around the US as they assess the economic costs and liabilities arising from the changing climate. The California state pension arrangement, CalPERS, has millions of dollars invested in PG&E shares so many ordinary pension investors will be affected, not to mention the higher costs for energy that people in the state will have to pay from a replacement provider. I have been making a few adjustments to my portfolio in recent months but I wanted to dig a little deeper into my global index funds to find out what proportion was invested in oil/gas and other areas I would rather avoid now such as tobacco and also aircraft production as air travel is the fastest growing contributor to global CO2 emissions. My Vanguard Lifestrategy 60 fund has most of its equity holdings in 3 sub funds - Developed World (ex UK), US Equity and FTSE All Share which together account for around 85% of the total equities. 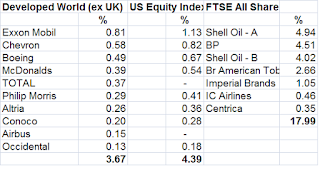 The undesirable holdings for the Dev.World and US funds amount to around 8% and for the UK fund it is much higher at 18% due to the heavy weighting of Shell and BP. 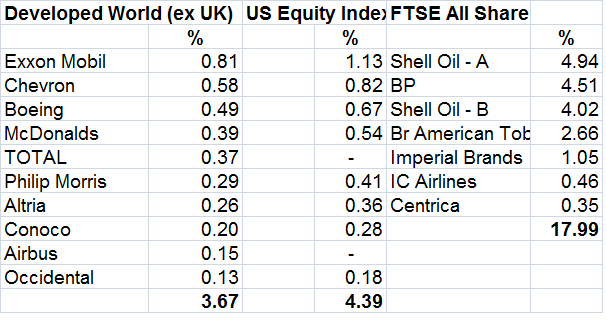 Unfortunately the UK All Share makes up 25% of the equity section of VLS which means I am holding almost the same value of undesirables in this as in the Developed World and US Equity combined. The total equity element of the fund is obviously 60% so I calculated that maybe 10% of my VLS 60 fund value is invested in holdings which are part of the problems we are facing. I have also had a look at the situation with their socially responsible SRI Global fund. This has higher charges of 0.35% compared to 0.22% with Lifestrategy. It excludes investments according to eight ethical criteria which includes environmentally detrimental activities. The fund however includes big oil companies - I guess they are not (yet) considered to be damaging. The exclusion list is compiled by FTSE Responsible Investment Unit. I also hold the HSBC Global Strategy Balanced fund which has a far lower weighting to UK equities - currently just 2.9% compared to 15% for VLS 60. Here's a comparison v VLS I did in 2017. Vanguard and BlackRock are the two largest asset managers in the world with combined AUM of around $12 trillion. Over the past decade they have become the biggest owners of the global economy. They are therefore the biggest owners of fossil fuel companies and therefore have a responsibility to hold the CEOs and boards of these companies to account and ensure they comply with their obligations under the 2015 Paris agreement. These asset managers have a big say in all the companies responsible for climate change. I believe they have a duty to divest funds out of companies that continue to pollute our environment and support those companies which make a positive contribution such as clean energy. The campaign against Blackrock could equally apply to Vanguard. I am fairly clear that the era of fossil fuels is ending, possibly much swifter than anyone could possibly have predicted just 5 years back. Also, we are seeing a dramatic drop in the price of renewable technologies such as wind and solar combined with advances in battery storage. Sentiment from consumers, business and politicians is shifting at pace as the scale of the climate threats become clearer. I believe that as the shift in public opinion on this issue hardens, the pressure will mount for increasing divestment away from those companies which harm the environment, particularly those in the oil and gas sector. At the same time, there will be increased investment into sustainable solutions aiming to minimise the effects of climate change. I guess these large oil companies will gradually adapt their businesses to move with the times. Both BP and Shell have pledged to more closely align their business models with global climate goals. I guess also that if they do not they will decline in size and become a smaller percentage of the index as alternative clean energy companies grow and replace them. 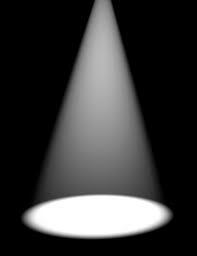 However, I will be making a few adjustments to my portfolio weightings over the coming weeks to reduce my exposure to big oil and gas. I made a start earlier this year by off-loading my holding in City of London as flagged up last September. 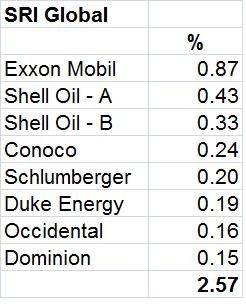 BP and Shell are top 5 holdings and account for 11% of the portfolio. I will probably exchange some of my VLS 60 for more HSBC Global Stategy in the multi-asset global index department and maybe add the SRI fund. As readers will know, I am increasingly concerned about climate change. The environmental risks dominated the recent World Economic Forum Global Risk Report 2019 (pdf). The authors of the report were so concerned they said "of all the risks, it is in relation to the environment that the world is most clearly sleepwalking into catastophe". 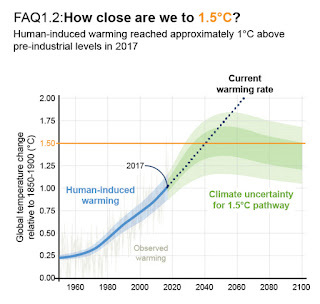 The report from the IPCC last October made clear that if we allow global warming to rise above 1.5C, it could be far more dangerous than we thought just a few years previously. Over recent months I have started to make a few changes to my portfolio to reflect my concern about these issues and have been exploring a few 'green' investment options. 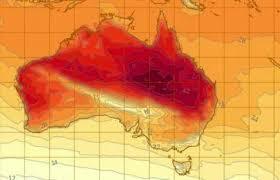 We have just seen the hottest month on record in Australia followed by unprecedented flooding in Queensland. 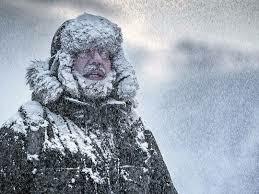 In Canada and US there has been extreme cold weather from a polar vortex caused by warming of the Arctic region. 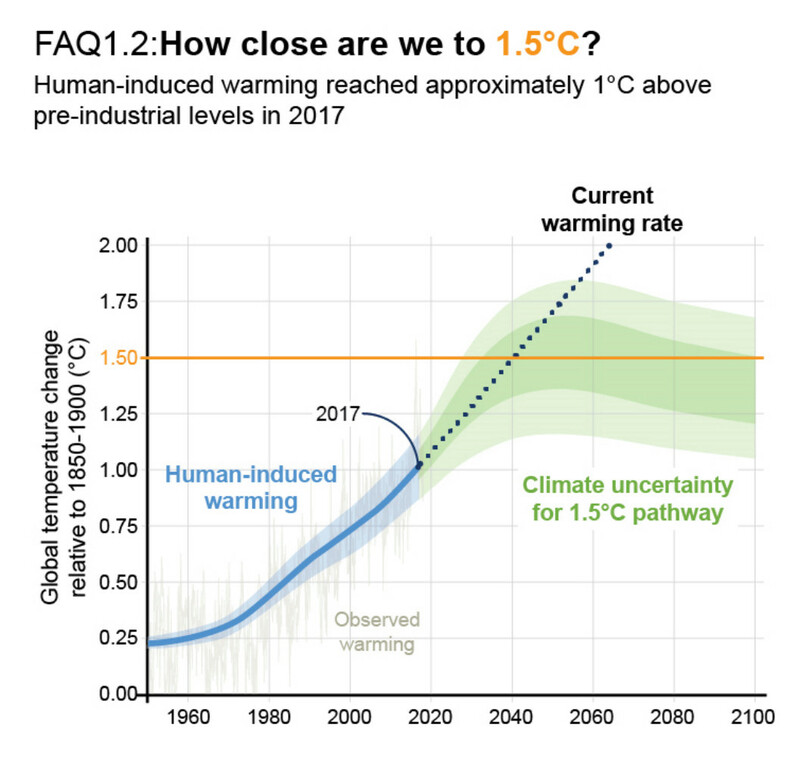 If nothing much changes, we are currently on track to reach 1.5C by 2040 and then 2.0C by 2060. We clearly need to make some big changes over the next decade to avoid a worst-case scenario. The global community is starting to implement some of these changes and businesses and governments are responding to the challenges so I remain optimistic. On a personal level, I introduced a couple of green funds to my portfolio last year and I intend to increase the green allocation of my portfolio to at least 10% by the end of this year. However, both are equity based so I would like to have a little more balance so I have been considering green bonds, also referred to as climate bonds. Much like conventional bonds, it is a bond which generally offers a fixed rate of return for a specified period of time however with the green bonds, the money raised is specifically earmarked for climate-related projects. These could be for projects to support a range of green initiatives such as energy efficiency, renewable energy, sustainable agriculture, cleaner transport, protection of ecosystems and environmentally friendly technology. They are typically issued by large institutions such as the World Bank or European Investment Bank or by governments - sovereign green bonds - and to qualify for the tax advantages they offer, they need to have green bond status which involves verification from a third party such as Climate Bond Standard Board. The London Stock Exchange introduced a dedicated green bonds section in 2015. These bonds have been around for over a decade and are mostly only available to institutional investors such as pension funds. In 2012 these bonds issued around $2.6bn however in recent years there has been a huge surge in demand and by 2017 this had increased to $162bn. In 2018, over 1,500 were issued raising $167bn for green projects. The forecast for the coming year is $200bn. This is just a drop in the ocean however as the IPCC calculated that we need to spend $2.4 trillion EVERY YEAR to 2035 to tackle climate change. Access to these bonds is still mainly for institutional investors such as the large insurers and pension funds. However a couple of exchange traded funds have been launched for the UK retail investor in the past year or so. VanEck Vectors Green Bond (GRNB) based on US market. So today, I dipped a toe in the water with an initial purchase of the offering from Lyxor for my ISA. This has been funded from a sale of my holding in City of London trust. I am sure more green bond funds will be made available to the retail investor over the coming year or two so will hold back for a while and just see how I go with this for the time being. Returns have not been so good over the past year for these bonds - maybe 1% or 2% but that was probably a little better than for global equities generally. They may not provide the same longer term returns as equities but I guess not all profit is quantifiable. Many investors are increasingly aware of the importance of tackling climate change but translating that awareness into concrete investment decisions can be challenging. The bonds offer me some diversity combined with the knowledge that my money is helping to hopefully change things in a positive way.